SCULPTURAL, DECORATIVE AND MODULAR. AS A SOPHISTICATED ADDITION TO THE EXISTING MOBIMEX COLLECTION, IRIA DEGEN HAS DESIGNED A BASE FOR THE NEW “AVA” TABLE - AN IMAGINATIVE YET CLEAR-CUT SCULPTURE THAT FITS FLEXIBLY WITH EVERY TABLE TOP SHAPE. THE BASE’S EYE-CATCHING SURFACE STRUCTURE, WHICH IS AVAILABLE IN VARIOUS VERSIONS, IS IN HARMONIOUS DIALOGUE WITH THE TEXTURE OF THE TOP. 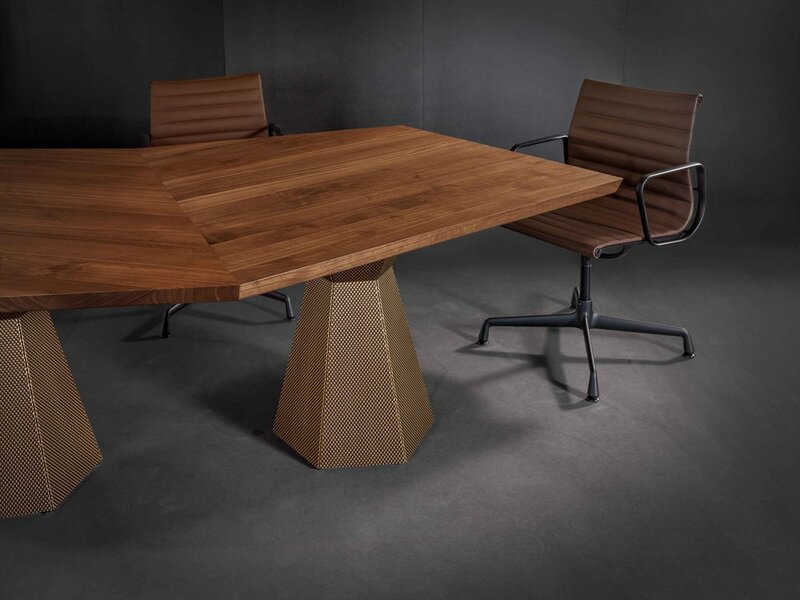 THE SCULPTURAL TABLE CAN BE POSITIONED ANYWHERE IN THE ROOM AND BOASTS NUMEROUS COMBINATION OPTIONS. HIGH-QUALITY MATERIAL AND PRECISE WORKMANSHIP RESULT IN AN ATTRACTIVE HIGHLIGHT, BOTH IN THE HOME AND IN A MORE TECHNICAL OFFICE ENVIRONMENT.